I admit, I probably enjoy planning my goals a bit too much. Sometimes I feel like I do too much planning and need to just get on with it. So I welcome ways that make planning goals easier. Working in project management I handle plans daily. I see GANTT charts that detail a projects progress for the next two years. Someone has been paid to spend weeks putting thousands of steps together, all with the aim of delivering a massive project goal. The Do Box listed what he had yet to start. Doing showed what he was working on. And Done listed what he had finished. This so simple, yet so effective that Instantly I thought how I could use this for goal setting. 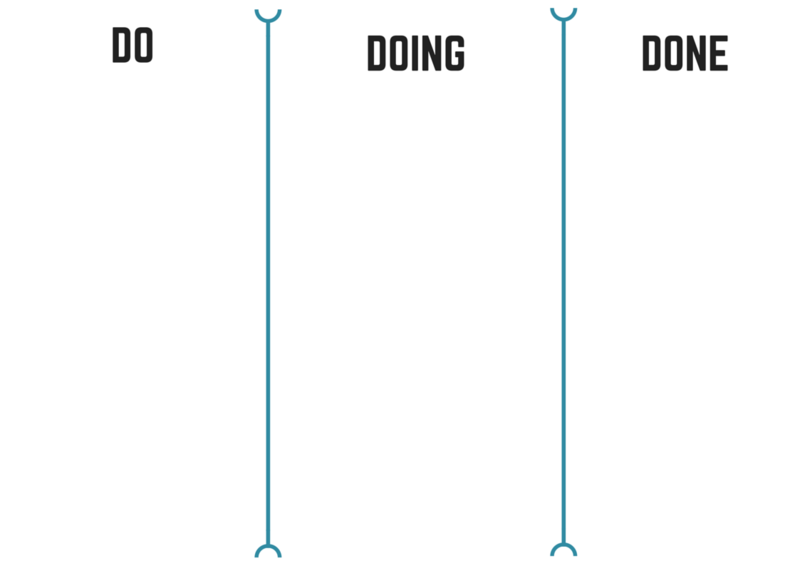 The benefit of Do, Doing, Done is that I can list all my goals and it gives me a clear indication of where I am at. I don’t need MS Project. I don’t even need a computer. Just give me a sheet of A4 and a pen and I can organise myself in 5 minutes. I do like SMART objectives – but it does not give a clear indication where I am with a goal. Do, Doing, Done is much more simple to understand. 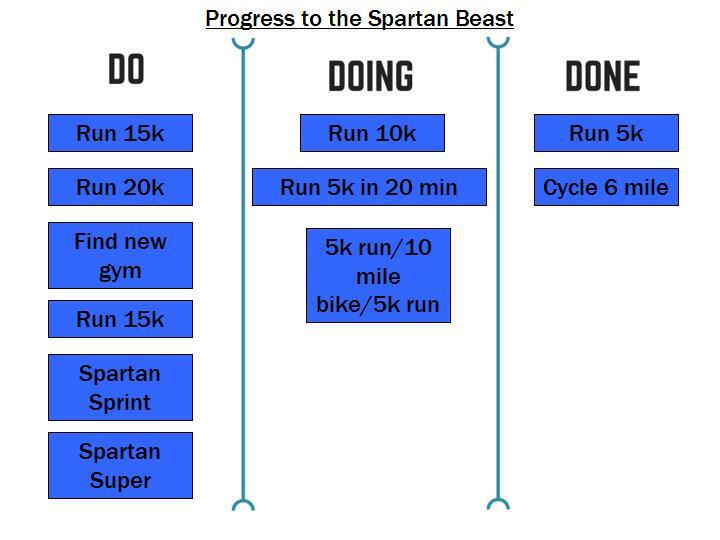 And in enthusiasm to my new fitness challenge of doing the Spartan Beast – here is the key milestones to get there. Find New Fitness Challenges: If not now? When?